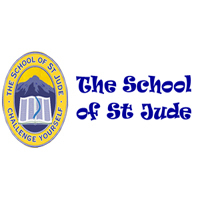 About us The School of St Jude is an education institution, entirely funded by charitable donations, that provides free, high-quality primary and secondary scholarships to 1,800 of the poorest and brightest students in the Tanzanian region of Arusha. Provide opportunities for and encourage people to visit The School of St Jude and to assist them with the arrangements and logistics for their intended visit. Ensure each visitor leaves the school with great enthusiasm towards St. Jude’s and with a basic knowledge of what the school is all about and different ways to support and promote it. Location Moshono Business Office (may require travel to other campuses for various projects). Working relationships Academic, Non-Academic and Business Team. Schedule meetings with Visitor Team on team needs and possible improvements. Work closely with the Supporter relations team regarding the ongoing management of VIPs and potential VIPs visiting the school. Periodically suggest improvements to the departments’ procedures and submit to supervisor for approval. Participate and support fellow staff in school mission-related activities such as all School Celebration Days throughout the year. Perform any other duties as assigned by the School leader or the Employer. Bachelor of business administration or tourism is preferred. Intermediate to advanced computer skills with demonstrated experience in Microsoft Word, Excel, Publisher and Outlook. An energetic and friendly attitude with the ability to be flexible, patient, personable and easy going. Strong inter-personal and communication skills (written and verbal) in English. Strong time management skills with previous experience managing a small team an advantage. A minimum one year voluntary commitment is a requirement for international employees. Travel between campuses may be required. All members of the Visitor Team are required to work outside of normal business hours depending on scheduled visitors and activities– team members will be given time in lieu for extra hours worked. Interested Candidates for this job are kindly requested to send their CV accompanied by a Cover Letter. Interested Candidates for this job are kindly requested to send their CV accompanied by a Cover Letter to recruitment@schoolofstjude.co.tz. Applications should be sent by 25th February, 2019. SUBJECT LINE MUST INCLUDE THE REFERENCE NUMBER.